Based out of Island Vinnie’s Tropical Beach Cabanas, our scuba diving centre in Havelock offers daily scuba diving trips to the best sites in the area, as well as a full array of PADI & SSI diving courses, from a half-day Intro to Scuba to the 4-day Open Water course(get certified as a diver) all the way up to Divemaster and Instructor. Our Havelock scuba dive shop is open year-long for scuba diving. 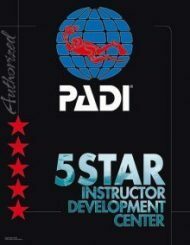 Are you interested in trying diving but do not have the time or desire to take a certification course? Or maybe you are not sure if this whole diving this is for you? Consider the Intro to Scuba experience program – no prior experience or swimming skills required. For beginners interested in exploring the underwater world, the 3-4 day Open Water certification course remains the best option: you get training as an independent diver, you get 4 dives in the program and you go deeper and see more, and you get a license at the end. We run daily 2-tank dive trips out to the best sites in the area, in both Neil and Havelock – including Barre and Invis Banks. And our guides are among the best in the business (after all, we are the ones who have discovered or first dived on pretty much all the sites you will visit! ).